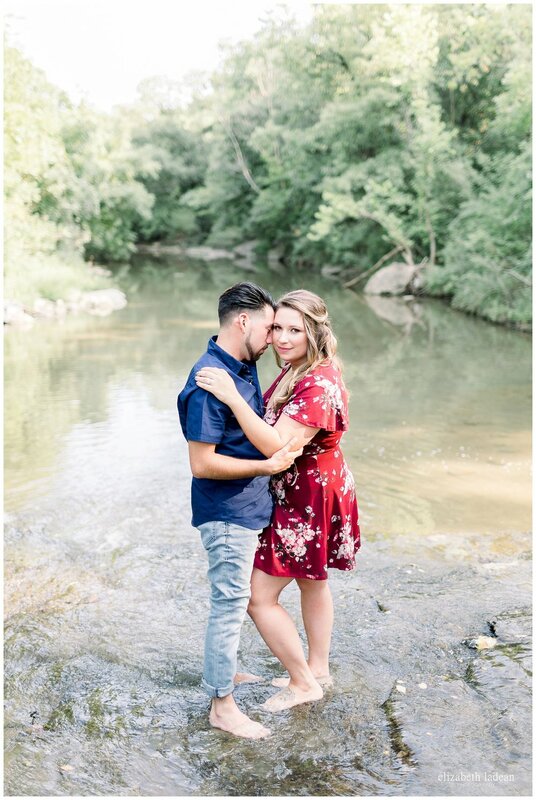 On a recent sunny evening these two took off their shoes, locked hands, and gingerly made their way across a private little creek. Neither would dare let the other slip, or even slightly lose their balance. Watching Robert support Jessica, and Jessica support Robert was easily a show of what their whole relationship is all about. What their entire love story is all about. They've been building a life together for quite some time - many days, many seasons. Together they share a deep love for one another, a mutual respect, a playful relationship, and a built in support system - to always, always be there for one another. 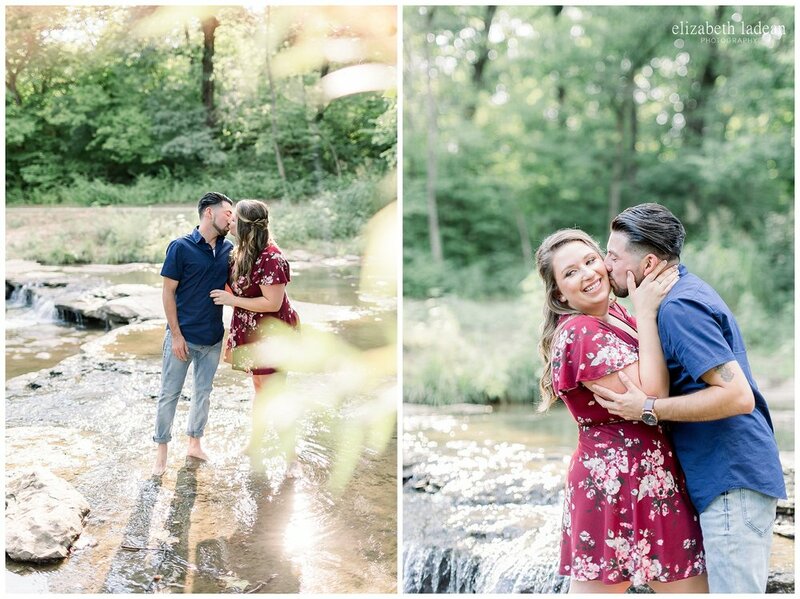 There's something unique about a couple like Jessica and Robert, and being around them makes you see it so clearly! 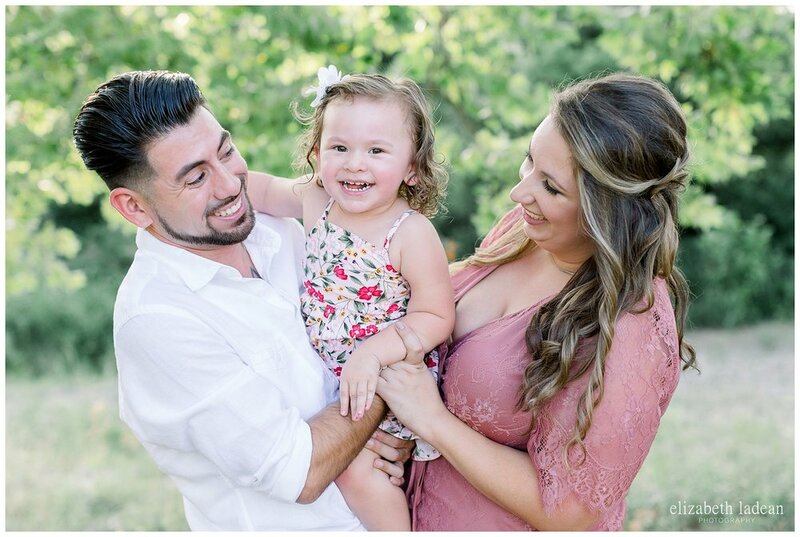 Last but definitely not least.... of all the wonderful things these two share, the best by far is their precious little girl, Millie. Wild and energetic in the best possible way, this wee one joined in for a few photos at the end of Jessica and Robert's engagement session, and I'm so glad she did! Can't wait for these two to tie the knot next month! !